Contingent workforce management is a US$300 billion market in terms of managed spend, growing steadily, but MSPs face challenges in broadening their scope to include services procurement. The Managed Services Provider (MSP) market, occupied by companies that provide contingent workforce management, is flourishing, logging a robust growth rate of 12 percent in 2016 to reach US$300 billion in managed spend. 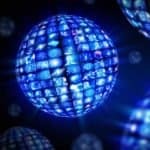 According to research recently published by Everest Group—a consulting and research firm focused on strategic IT, business services, and sourcing—the growth rate for the MSP industry has exceeded 10 percent since 2014. Everest Group also reports that fundamental changes are altering the dynamics of the global MSP market. 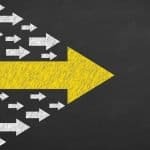 A key example is how Business Process Outsourcing (BPO) providers are increasingly encroaching on traditional MSP turf by offering temporary labor management in their broader procurement deals. Although temporary labor management is the core strength of MSPs, BPO providers are witnessing much faster growth in this area (30-40 percent compared to 9-13 percent growth for MSPs). Conversely, as the temporary labor management market matures, most MSP providers are looking at service procurement (also know Statement of Work or SoW) as the next area of growth. This segment is currently dominated by BPO and purchasing outsourcing (PO) providers, but MSPs are witnessing faster growth (40-50 percent as compared to 4-6 percent for BPO/PO providers). 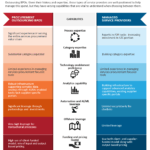 These findings are discussed in more detail in “Managed Service Provider (MSP) – Annual Report 2016: Embracing the New Talent Landscape.” The report includes a market overview and an analysis of the evolving market situation, buyer adoption characteristics, solution dynamics and service provider capabilities. The following service providers were analyzed as a part of this report: Agile•1, Allegis Global Solutions, Alexander Mann Solutions, AMN Healthcare, Capita Resourcing, Geometric Results Inc., Hays, HCMWorks, KellyOCG, nextSource, Pontoon, PRO Unlimited, Randstad Sourceright, Superior Group, Tapfin, Yoh, and ZeroChaos. Economic uncertainties, changing preferences of millennials, and technological advances are leading to the increased use of contingent labor. With an increased inclusion of freelancers in the workforce, buyers are looking to MSP to help them mitigate various types of risks and contain costs. MSP service providers are investing in developing Freelancer Management Systems (FMS) in order to serve buyer requirements. An increasingly holistic approach to talent management is leading to adoption of the blended model, in which MSPs are involved in recruiting permanent as well as contingent workers. The blended model has seen the most penetration in Europe, especially in United Kingdom, while other regions have yet to see any significant adoption. MSP deals are increasingly becoming multi-country in scope, including global multi-continent deals. However, only a few service providers have strong capabilities in this space. The market is also witnessing higher adoption of large and mega-sized deals, led by multi-country deals and expanding scope of MSP deals.